Our first blog post, we hope you enjoy! Have you noticed we love Garmin. You know the old saying "If I pass out, please pause my Garmin". Yes, that's us. If we forget our devices for ride we may as well not ride, right?! Garmin offers so much insight to all types of riding & multipart activities from general tracking to advanced navigation, cadence, speed, incident detection and more. If there is one thing we can't leave our houses without it would be our Garmin products. The Edge 130 has just released and is now available at The Bike Shop! Drop by to see it for yourself! 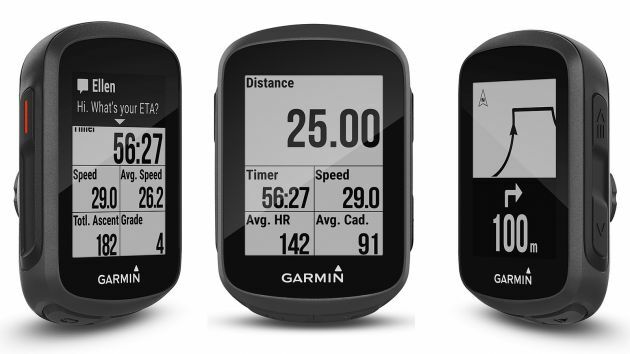 Edge 130 – Most affordable, most functional, full blown GPS Garmin has ever made for cycling. Up to 8 data fields, BLE sensors compatible, AND 15hr battery life. (see review from DC Rainmaker) Starting at $199.99, deats below!